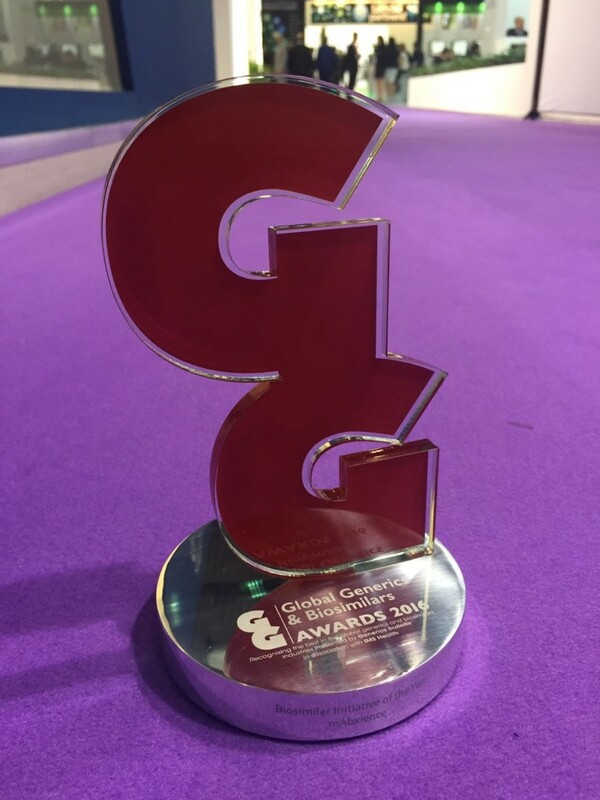 mAbxience received the Biosimilar Initiative of the Year award at the “Global Generics & Biosimilars” ceremony held on 4th October by the prestigious British “Generics Bulletin” in Barcelona, which coincided with the industrial excellence fair, the CPhI Worldwide. This publication, which organises these awards each year to highlight the industry’s achievements over the previous year, selected mAbxience as the winner. The Biosimilar Initiative of the Year is a recognition of all the pre-clinical and clinical development projects, alliances, distribution, sales and marketing being carried out within this rapid growing field is the biosimilar market. Our company won this year’s edition being nominated along with three other well-known companies of the sector: Celltrion, Samsun Bioepis and Sandoz. This award is a recognition for the work of the entire company and is one more step towards the consolidation of mAbxience as a company of reference in the biosimilars market.